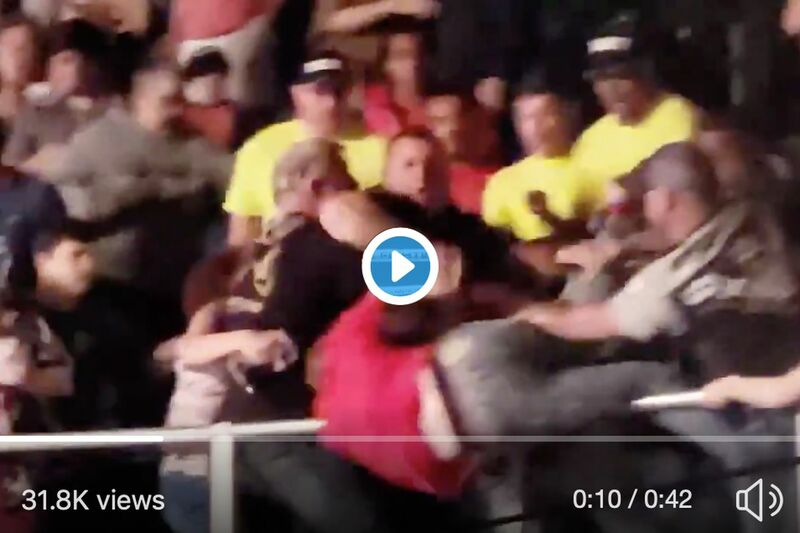 Combat sports fans who attended the Bare Knuckle Fighting Championship (BKFC) pay-per-view (PPV) event last Sat. night (April 6, 2019) inside Mississippi Coast Coliseum in Biloxi, Miss., got exactly what was advertised. Not only did the competitors inside the ring throw down, sans gloves, so did a handful of fans, evidenced by this recently-published video of some thicc hoss laying waste to half the cheap seats. And that wasn’t even the best part. Can we get this commentator a Sports Emmy nomination? BKFC 5 was highlighted by the main event bloodbath between Artem Lobov and Jason Knight, with “The Russian Hammer” nailing a unanimous decision win (highlights here). He’s expected to move on to face Paulie Malignaggi at some point in June. As for that heavy hitter in the stands, his next opponent has yet to be determined, but I suggest they pack a lunch (and perhaps event a battle axe). Cody Garbrandt can’t seem to help himself. The former bantamweight champion has now suffered three nearly identical KO losses in a row, all stemming from his insistence on planting his feet and just swinging full force from his hips with both hands down until his opponent catches him mid-swing and puts him out. TJ Dillashaw scored the first two; Pedro Munhoz scored the third this past Saturday at UFC 235. Garbrandt was knocked down in a clash of heads and got up swinging for the fences, on full autopilot brawl mode. His Team Alpha Male corner were not happy with him. Danny Castillo was screaming at him; Chris Holdsworth had a look of profound resignation. Even Bruce Buffer, sitting behind them, could only shake his head. Former Team Alpha Male coach Justin Buckholz took the opportunity to take a couple jabs at his old team’s coaching and cornering. Cody Garbrandt will have to be matched carefully going forward; his coaches will have to find new ways to try to reign in his brawler’s instincts. They clearly know what the issue is; getting Garbrandt to avoid it is the trick. If you thought that was the end of the Cody Garbrandt news, you would be wrong. See, the weird thing about this new TJ Dillashaw ink is that Cody has a tattoo that is virtually identical, which he got in 2017, after TJ knocked him out the first time. Would you like to see a rematch? Some of them got weird. Here is one of Askren’s future fight with Darren Till. Matt Hughes is not a great human being to his wife, brain trauma or no. We are all kinda grateful to Anthony Smith for not taking the DQ, but he lost out on hundreds of thousands of dollars and another chance (however slim) to beat Jon Jones. I can’t tell whether that’s honorable, plain stupid, or both. Chase Gamble and Marcel Stamps are fictional names, the kind of names you think up for your first handwritten novel in high school. I think the dog did this on purpose. 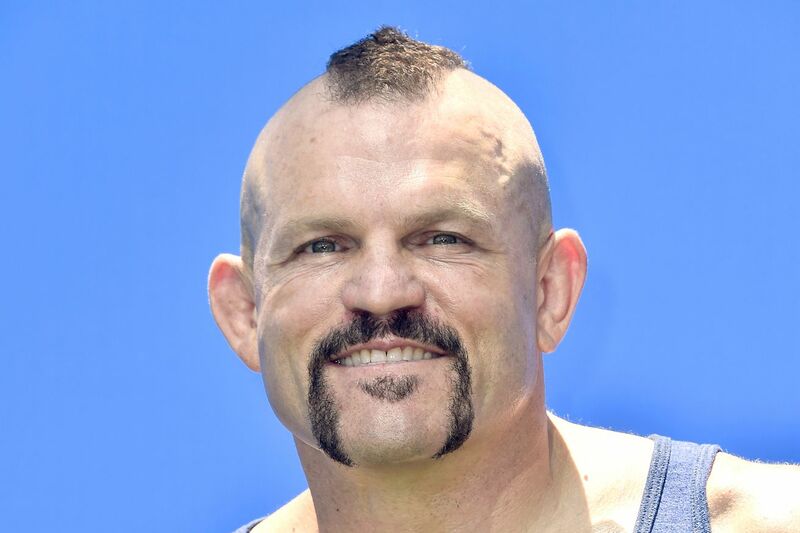 43-year-old Tito Ortiz and 48-year-old Chuck Liddell are gearing up to fight for the third time, and even this long after their rivalry had divisional relevance, it still has vitriol. Liddell was hitting pads in the same room as Ortiz, who took no time in laughing at Liddell’s performance. It is what it is indeed. This is hardly the first time Ortiz has criticized Liddell’s movement or ability when hitting pads, leading to his coach Ray Sefo defending him online. The fight goes down at Golden Boy 1 on November 24, 2018, broadcast on PPV. 15 years too late, indeed. Jimmie Rivera evidently lost the opportunity for a bout with former bantamweight champion Cody Garbrandt, so he’s angling for a bout with Raphael Assuncao. The old-school uncrowned UFC lightweight champion Yves Edwards reminds us that California pays prisoners a dollar an hour to fight fires. They are trying to kill Anthony Pettis, but I would still watch him fight with Justin Gaethje any day of the week. Jeremy Stephens is a savage. When you win a fight by headbutt. This guy would destroy all those UFC fighters. Khabib Nurmagomedov is getting an early start on his community service hours by installing wells in Africa, which admittedly is a pretty cool thing to do. This is my workout song when I deadlift heavy. UFC 229 will be remembered for many things: chaos, great fights and Derrick Lewis. Bellator 203: “Pitbull vs Weichel 2” comes to Foro Italico in Rome, Italy, this Saturday evening (July 14, 2018), featuring a main event between Featherweight champion Patricio “Pitbull” Freire (26-4) defending his 145-pound title against Daniel Weichel (39-9) for a second time. 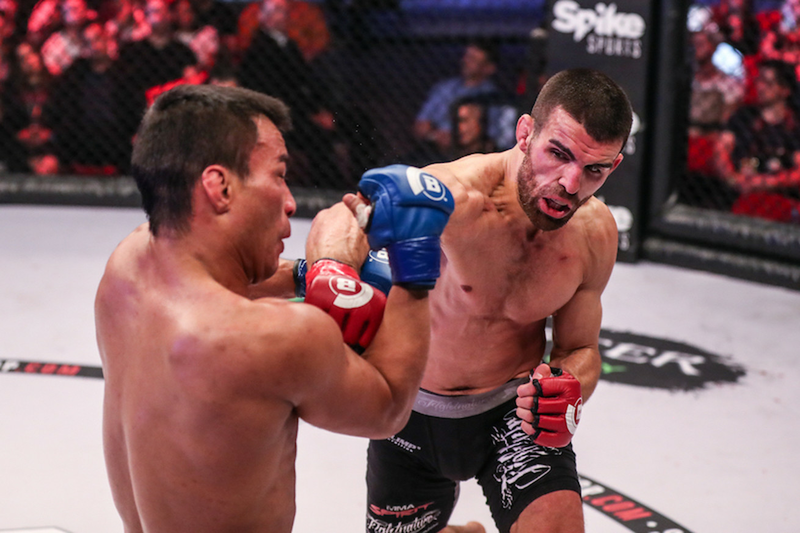 Weichel’s first chance to dethrone Freire came at Bellator 138 in St. Louis, Mo., filling in for an injured Georgi Karakhanyan. Weichel had Freire badly hurt at the end of the first round only for Freire to get a much-needed minute to recover. And just 32 seconds later, Freire came roaring back to finish Weichel by knockout. Since that time, Weichel has gone on a four-fight win streak to earn his second chance at the title. Meanwhile, Freire would lose the belt for a short time only to regain the title from Daniel Straus in an epic fourth encounter between the two last year. MMAmania.com spoke to Weichel about how he intends to avenge his loss to Freire in a match that he was originally supposed to happen at Bellator 188 until Freire pulled out with an injury. That’s a pretty long time to only take “one or two weeks” off given the fight was originally set for Nov. 2017! Nevertheless, Weichel is not only ready for a fight this weekend … he’s more than ready. If he wasn’t eager to fight already the “fighting words” used by Freire may put him on edge, starting with the accusation that Weichel actually lost two recent fights he won by split decision. You could watch the Sanchez fight three times and draw three different conclusions (as the judges did), but on our unofficial scorecard I gave Teixeira two rounds. Still, Freire seems to have an even bigger gripe with the fact he’s facing an old opponent again. As you might expect, “Pitbull” had an answer for that, too, saying that no matter how close Weichel was to finishing him in the first round, he proved who was better by getting his hand raised at the end. If emotions got the better of Weichel the first time they fought, does he have to reign in his emotions for this rematch, especially if he puts Freire in danger once again? Since “Pitbull” had made it very clear he was tired of rematches and felt the fans (and him. obviously) deserved fresh fights, the $ 64,000 question was in the air — would Weichel give a third fight to Freire if he won the title? No matter how it goes Weichel is very happy that Bellator brought this fight card to Rome, which for him also brings it much closer to home in Frankfurt, Germany. Since a lot of fans compare Weichel’s features to famous actor/musician Drake, I asked Weichel if we might get a song from Drake’s new album “Scorpion” for his entrance to feed off that energy. What won’t be a surprise is a fantastic bout between two of the promotion’s best Featherweights going today in the main event of Bellator 203 in Rome, Italy. Complete audio of our interview is embedded above, and complete coverage of “Pitbull vs. Weichel 2” resides here at MMA Mania all week long. Something wasn’t right with Max Holloway this week, and Michael Bisping noticed it before the featherweight champion pulled out of UFC 226.